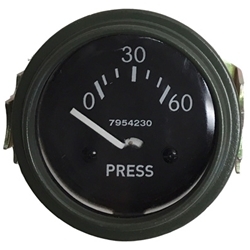 Gauge, oil pressure, 0-60, 24v, waterproof, w/clamp. These are good quality reproductions. All gauges are available. Gauge, oil pressure, 0-60, 24v, waterproof, w/clamp. Repro.